+SPD: The ideal stat for Delthea to boost is Speed. A Speed asset will take Delthea from 34 Speed to 37 Speed, increasing her doubling potential and allowing her to more easily resist doubles from faster mages such as Nino. +ATK: Boosting Delthea’s Attack is also a good option. With Delthea being tied for the highest Attack available on a blue mage, an Attack asset will only increase her already very high damage potential even further. RES: Delthea actually has pretty good Resistance. While her low HP hinders her ability to take a lot of magical hits, she can certainly take a hit or two from opposing magical foes. As such, keeping Resistance neutral is recommended since it’s not beneficial enough for an asset nor weak enough for a flaw. -HP: Delthea comes with a very low HP stat of 33. While her HP is more beneficial than her Defense, a HP flaw Delthea will perform fine, making it a nice choice of flaw for her. -DEF: There’s no other way to put it, Delthea’s 13 Defense is simply terrible. Since she’ll be KO’d by physical units easily regardless, a Defense flaw will barely have an impact on her performance. Delthea’s primary set allows her to serve as both a great offensive unit and great support unit at the same time without sacrificing one role for the other. It is also budget friendly, being quite easy to build with no required skill being locked to rare units. From an offensive perspective, the Speed asset gets Delthea to 37 Speed, giving her much better doubling potential. Fury serves as a great choice for the A slot, giving Delthea an all-round boost to her combat potential with boosts in all stats bar HP. Desperation in the B slot also permits Delthea to perform any follow-up attack immediately, allowing her to potentially KO Hector and Dorcas before they can destroy her on their retaliation. Draconic Aura plays off of Delthea’s insanely high Attack, though Moonbow and Luna also serve as great options. As Alternatives, an Attack asset Delthea will also work very well while Life and Death and her default Death Blow 3 are fine alternatives for her A slot. From a support perspective, Delthea’s dark aura grants a huge boost of Attack to any melee range unit. This is further boosted with her Drive Attack C slot skill which boosts all allies within 2 spaces by 3 Attack. She can run a variety of Assist skills, such as Reposition to help units out of danger or a Rally of choice for further boosting. What C slot you use for boost is completely up to player preference, but the fact that she comes with Drive Attack by default makes it a very appealing option. Your Sacred Seal of choice can boost either her offensive or support potential. A simple Speed or Attack Sacred Seal will help her offensively while a Spur, Hone, or Fortify Sacred Seal will increase her supporting prowess. This Delthea setup is your typical Blade tome setup, ditching her support potential for full-on offensive capabilities. The Blarblade tome is the star of the show here. This tome will deal extra damage based on the amount of Hone and Fortify boosts that Delthea has received, so if Delthea has been given a lot of buffs from a unit such as Ephraim or Eirika, she will deal an immense amount of damage with the Blade tome. As for skills, Swift Sparrow makes for a fantastic A slot choice, granting Delthea with a +4 boost to Attack and Speed when initiating combat, making it a solid choice for boost her already high offensive power. Life and Death is a good alternative but do be careful as it lowers Delthea’s already low Defense even lower to single digit levels, though this is less of a problem for Delthea with a higher merge level. Fury is a good budget option for the A slot. Combine your A slot skill of choice with Desperation for immediate follow-up when below 75%, a good offensive Special such as Moonbow or Draconic Aura and either an Attack or Speed Sacred Seal and you’ll have one powerful offensive Delthea. The C slot and Assist slot are mostly open to player preference. Delthea’s default Drive Attack will work absolutely fine as the C slot with this build, but this slot is otherwise completely open. The Assist slot is the same with basically anything being an option. A movement skill like Reposition is good for team support while Ardent Sacrifice is another good choice which allows Delthea to instantly reach Desperation range in a single use. 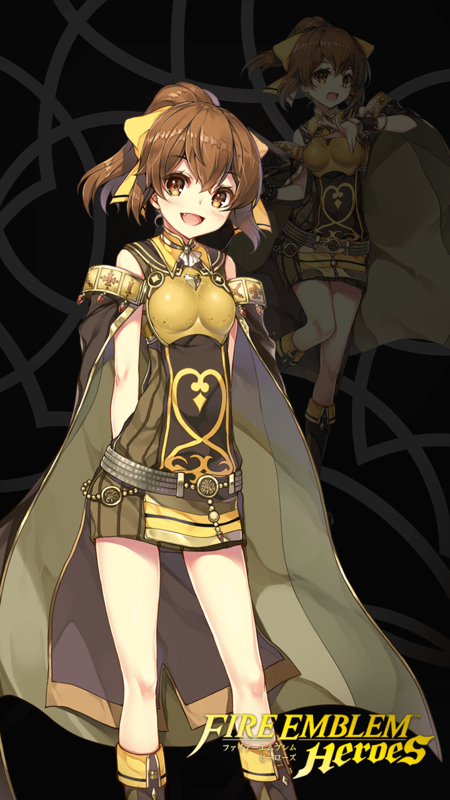 Delthea comes through into the world of heroes as a powerful blue mage, comparably similar to Linde. Delthea possesses great offensive potential with the added bonus of being a great support unit. This combined offensive and support prowess makes Delthea a very desirable unit as she can serve as an effective combat unit and effective unit buffer at the same time. Delthea’s offensive power comes from her great Attack and Speed. At 36 Attack and 34 Speed, Delthea has the sort of offensive stat spread that’s quite typical for offensive mages, identical to that of Summer Elise. This combined with her personal tome gives Delthea a strong offensive presence on the battlefield. Meanwhile, Delthea’s supporting potential comes from her tome, the Dark Aura. This tome grants a hone-style buff of +6 Attack to melee range units who start their turn next to Delthea. This combined with her default Drive Attack skill allows her to buff the Attack of melee allies by a potential 9 Attack, making her an excellent choice as a support unit alongside melee allies. Delthea is not without her drawbacks. Delthea is very physically frail with the poorest Defense in the game and low HP, meaning that physical units will make short work of her. She does have good Resistance, but her low HP means that mages such as Nino and Reinhardt are quite capable of a ORKO against her. This severely hinders Delthea’s enemy phase performance, relegating her to being pretty much only a player phase unit, though this can be said for most offensive mages. All in all, Delthea serves as a solid choice for a blue mage. She comes pre-packaged with great skills meaning she is great on a budget and works very well as both an offensive and supporting unit. If you want a powerful blue mage for your team, Delthea can certainly fill the role well. At 36 Attack neutral, Delthea has the tied highest Attack stat of any blue mage, tying with Lute and Mae. This means she reaches 50 Attack with Dark Aura and hits incredibly hard. 34 Speed, while not the best for doubling potential at base, is high enough that it can be heavily boosted with skills to make her very competent at doubling, giving her a strong overall offensive presence. Dark Aura is Delthea’s personal tome, allowing her to buff the Attack of melee units (anyone using Sword, Lance, Axe or Dragonstone) by 6 points. This is a hone-style buff, so melee units will need to start their turn next to Delthea to get the boost and the boost will NOT stack with Hone Attack or Rally Attack. This makes Delthea a great support unit for practically any melee unit. Delthea comes with great base skills in Miracle, Death Blow and Drive Attack. Death Blow increases Delthea’s already insanely high damage output, making it a natural fit on her. Drive Attack has great synergy with Dark Aura, turning her into a fantastic supporting unit for melee characters. Miracle is the one weak link, but it is still a decent Special if no other option is available. This means Delthea is great for players looking for a character who’s cheap to build since Delthea can run with all of her base skills quite effectively. At 13 Defense, Delthea has the lowest Defense stat in the entire game. Because of this, she is very susceptible to any form of Attack which deals physical damage. Delthea will need to take caution when attacking any physical attacker with Distant Counter, especially those with a weapon triangle advantage against her. At a neutral HP of 33, Delthea has one of the lowest HP stats in the game. When combined with Delthea’s pitiful Defense, this makes her extremely weak to physical attacks, with even reds being able to easily cut through her defenses. Delthea is best used as a combination offensive support unit, so having units she can actually boost alongside her will be ideal. Delthea will struggle against greens, most notably DC greens such as Hector and Dorcas as well as magical walls such as Deidre. While she is capable of KO’ing Hector and Dorcas, it can be somewhat unreliable depending on the situation. Having allies to combat these units is a good idea. Hard melee hitters: Units such as Ephraim, Ike, and Hector will greatly enjoy the immense power boost from Delthea, raising their already extremely high Attack even further. Dragons: Dragon units are the only magic users who can utilize Dark Aura, so Dragons such as Adult Tiki, Young Tiki, Nowi, Myrrh, Fallen Robin, and Fae will all very much enjoy the boost from Delthea. Dragons are also great for dealing with Brave Lyn due to refined breaths targeting the lower defensive stat of ranged unit and also that their counters are not blocked by Sacae's Blessing. Distant Counter red units: Red units such as Ryoma, Zelgius and Black Knight can handle threats from all ranges, making all three effective all-round green counters. Red mages: Mages such as Celica, SM Eirika, and Winter Tharja all make for good ranged options for red units and are all good at handling green units. Distant Counter physical units: If a unit has Distant Counter, chances are that Delthea will need to land a OHKO in order to survive due to her frail nature. While this is generally not a problem for Delthea against red DC units like Ike or Ryoma, she can struggle to OHKO DC greens such as Hector and Dorcas, resulting in them getting a OHKO on her in return. She will also struggle against Fjorm thanks to her high resistance and unique Special Ice Mirror. Refined Distant Counter Dragons: With the weapon refinery, Dragonstones were given a new effect where they target the enemies lower defensive stat if they are a ranged fighter. This means that Delthea cannot safely attack dragons anymore since they will now target her Defense rather than Resistance. Myrrh, Fae, and Fallen Robin are all of particular notice since all three have a weapon triangle advantage against Delthea. Fast Player Phase physical units: Any physical unit designed to approach and attack on Player Phase will destroy Delthea. Units such as Ayra, Mia, Brave Lyn, Legendary Ephraim, and Bridal Cordelia will all ORKO Delthea with little to no problem, so it is heavily advised to avoid using Delthea for baiting. This build overall well rounds Delthea's means of being an effective attack and speed unit. Using Juicy Wave+ (Summer Camilla) with a Speed enhancement, takes away the Melee attack buff from her original Dark Aura, but leaves room in store. Since the item itself offers Desperation 3, there would be no need to keep it as a B skill, leaving a flexible passive to be selected, all by which Chill Res 3 is effective. The use of Odd Attack Wave offers a good replacement for her Dark Aura attack buff, offering +6 Atk for all units including herself, all at the expense of timing. The use of Reposition, Aether, and Heavy Blade (useful for Tempest Trials and Chain Challenge without healer) all the while still are flexible to other skills like Rally Atk, Draconic Aura, Miracle, Spd +3, etc. Even as this build takes a truly ridiculous amount of investment, I really do believe that it gives the best to apply Delthea's recommended Atk and Spd bane. The most straightforward of my blue mages, Delthea is a cornerstone of my nuking mage team. IV Explanation: She has 33 HP Neutral which means at +10 she will have 37. If you happen to S-Support her she will have 42 because of the added +5, which means with one ardent sacrifice she won’t be in desperation range. With a bane in HP she has 30 HP, and the 4 from merges and 5 from S-Support means she will have 39 HP with an HP bane which is barely low enough for her to enter desperation range with only one ardent sacrifice. If you do not plan on S-Supporting her, by all means, go with a defense bane, but if you are Delthea enthusiast I recommend -HP. The boon in atk will be explained in the paragraph below. So I heard you wanna have the big attack. This, my fellow Delthea admirer, will turn your cute loli mage into a Lu Bu worthy death machine. With one ardent sacrifice and on an odd turn, you can give her +19 attack and +7 speed when shes ALONE. No buffs/team mates required, just a heal and learning how to count. Brazen skills are combat buffs which are basically spurs, which means you can still give her more speed through field/visible buffs, which leads to even more dps. You don’t need any fancy speed tactic either, hone speed works fine, leaving her with a total of +23 and +11 speed more than usual which is why I decided to go for an attack boon instead of a speed boon. 34 Speed neutral becomes 45 with one hone and no other drives/spurs which is usually more than enough for what you want to do. Her B skill is the classic desperation, however if you have high merges on her and use her for arena with many armors who run wary fighter you can easily run windsweep instead since she wont be able to double. If you are coming across more bold/vengeful fighters or other b skills, desperation is much better in my opinion. Her C skill is an obvious pick, as it gives her +6 attack to herself and with the blade tome that turns into +12. Her special and seal can be swapped out for whatever you want, Draconic Aura can become Aether if you need arena points and if you aren’t running another unit with drive speed and you think 45 speed isn’t enough you can always opt for a speed seal. I chose Heavy Blade and Draconic Aura because for me, typically, it is turn 3 and she is in brazen desperation range and she nukes someone. Then, on turn 4, I have to retreat for the extra +6 attack and wait for turn 5. Sometimes this is not optimal and you don’t have the space to make a tactical retreat. This is where Draconic Aura/Fang comes in and compensates for the attack that you lose out on. You can also run Aether in this scenario if you can double the enemy, however this can potentially knock you out of the brazen/desperation range. Draconic Fang is better when you face more non wary-fighter b skills but if you are me and it seems like everyone has more effies than someone should ever have and everyone is running wary fighter, then take Draconic Aura so that you can get one extremely spicy hit. This Delthea works very well with dagger units, specifically Rogue Dagger+ units because they can buff her for +6 def/res while lowering the enemy’s resistances, allowing maximum nuking potential. They can also run Hone speed on the side too so you can get all of the set up for more attack than you should ever need with only Delthea and a supporting dagger. Another op blue mage in a very good color batch. Delthea is the glass cannon who is great at nuking while having terrible def. Though mine is +def, it doesn't mean she can't still be the nuke she is. In the end Delthea is a rather glass cannon who's base kit is fine and optional if you want to change it. Dark AuraGrants adjacent allies who use sword, axes, lances, dragonstones, or beast damage, Atk +6 through their next actions at the start of each turn.